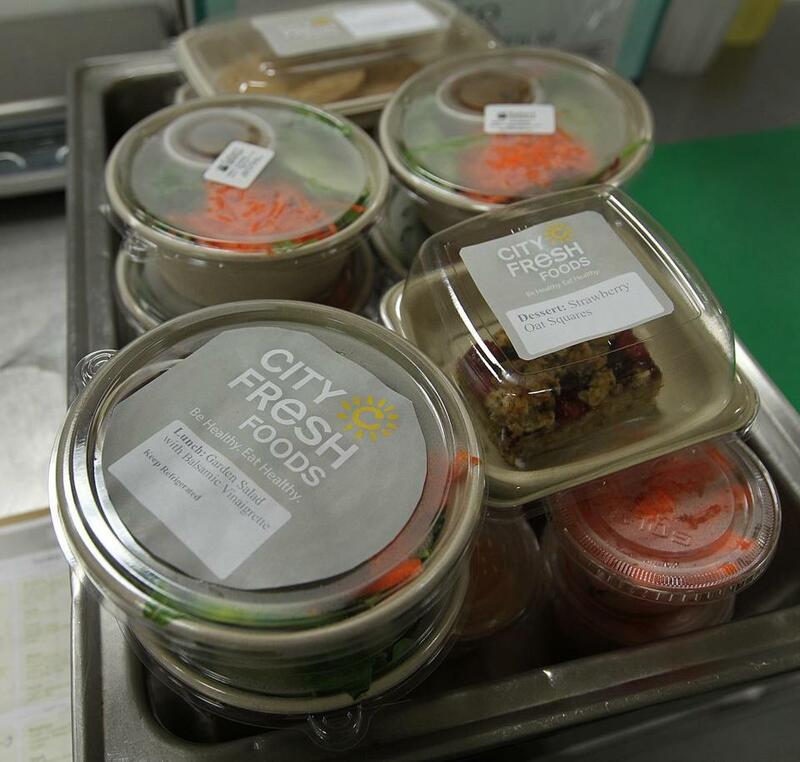 City Fresh Foods has a 14,000-square-foot facility in Roxbury. The promise of the American city is ushering economic opportunity to urban areas as never before. Yet this revival raises gnawing questions about who is being left behind despite an unprecedented influx of people, ideas, and capital. The goal for cities must be inclusive prosperity. We may never achieve equal outcomes but we can remove barriers to opportunity. In cities like Boston, where wealth abounds but poverty and unemployment persist, a pressing challenge is to bring more businesses and jobs into neighborhoods that need them most. Thriving inner-city businesses are critically important for healthy urban ecosystems, for they change people’s lives by spreading prosperity. Inner-city businesses can erase urban food deserts. They tend to hire from the neighborhood and often the jobs provide good benefits. They are a leading source of ownership opportunities for women and entrepreneurs of color. They create a sense of promise and pump real capital into economically distressed areas whose full potential has been overlooked. In an era when we’re haunted by growing income inequality, high-growth inner-city businesses are a proven antidote, and we need to be more deliberate in cultivating them in Boston and our Gateway Cities. The good news is there are plenty of compelling examples to learn from. Great regional businesses transform inner cities, including City Fresh Foods, which has a 14,000-square-foot facility in Roxbury, and US Bedding, founded by a Vietnamese immigrant in Fall River, which now employs dozens of former factory workers and, notably, made the mattress for the Lincoln Bedroom at the White House. These businesses and hundreds like them tell us what works and what doesn’t. Every year since 1999 the Initiative for a Competitive Inner City (ICIC) produces the Inner City 100 list, which highlights the fastest-growing inner-city businesses nationwide and provides a wealth of valuable data and unique insights. Over the years, it has recognized almost 1,000 companies, including 55 in Massachusetts alone. Collectively, they’ve created more than 126,000 jobs. In marking the 20th anniversary of the Inner City 100, ICIC studied past winners to highlight success factors that set the stage for even more entrepreneurship. Among the most important findings is the value of an inner-city address. Companies see their location as a distinct advantage, validating Harvard Business School professor and ICIC founder Michael Porter’s revolutionary thesis about the inner city’s economic potential. When Porter first advanced his theory in 1997, it was controversial, but time has proved him right: Proximity to customers, employees, and transportation hubs all contributes to the Inner City 100 companies’ competitive advantages. We’ve also found that these businesses won’t realize their full potential unless they’re active players in their regional economy. Success is all about access: to capital, expertise, and what we call anchor institutions — large companies, government, and nonprofits, especially universities and hospitals. Finding and cultivating large customers among anchor institutions has been critical for many firms on the Inner City 100 list. Yet this remains a big and still largely unrealized opportunity. Boston is a particularly relevant example with its abundance of educational and medical institutions. Most large organizations are not nearly as purposeful or effective as they could be about connecting with inner-city businesses. Even a small slice of their billions in annual purchasing power would make a big difference for inner-city businesses and have a profound impact on their surrounding neighborhoods. Equity capital has remained elusive. Only 5 percent of Inner City 100 alums accessed equity from institutional investors, despite their robust potential. But we’re seeing a change, as savvy investors have recognized the profit potential of inner-city businesses by launching a variety of new impact funds. Education is also a crucial factor: The most successful inner-city businesses tend to start with a business plan and are run by leaders with business education. A little expertise and guidance goes a long way. A local entrepreneur named José de la Rosa was looking for capital to expand the business he founded with his wife, Zoraida, Guardian Healthcare, a provider of home health services based in Jamaica Plain. José participated in ICIC’s executive education programs, helping him secure financing and develop a profitable growth strategy. Guardian, now employing 360, has expanded to Brockton, Lawrence, and the Worcester area, and is a proud Inner City 100 winner. The renaissance of the city shows no sign of slowing down. However, we won’t realize our goal of inclusive prosperity unless more stakeholders embrace the extra vitality that inner-city businesses bring to urban life. Steven Grossman is CEO of the Initiative for a Competitive Inner City.